Scottish archaeologists exploring a Pictish fort have discovered surprising treasures, including an eleven-hundred year old coin. The University of Aberdeen archaeologists overseeing the dig at Burghead Fort near Lossiemouth in Moray say the site may yet reveal more significant findings. Experts believe Burghead Fort was a significant seat of power within the Pictish Kingdom, dating between 500AD and 1000AD. The Picts lived in eastern and northern Scotland during the late Iron Age and early medieval periods. Notable Pictish artefacts including the Burghead Bull carvings and a mysterious underground well were discovered in the 1800s, but it has long been suspected most of the Pictish remains were destroyed when a new town was built on top of the fort at this time. However, the University of Aberdeen started a dig at Burghead in 2015 which is starting to uncover further important clues about the Picts. The team uncovered a Pictish longhouse within the fort. Very little is known about Pictish architecture so this finding could provide vital clues as to the character of Pictish domestic architecture and the nature of activity at major forts such as Burghead. Within the floor layers of the building, an Anglo Saxon coin of Alfred the Great was discovered providing key dating evidence for the use of the house and fort. The coin dates to the late ninth century when Viking raiders and settlers were leading to major changes within Pictish society. Dr Gordon Noble, Head of Archaeology at the University of Aberdeen, explains, “The assumption has always been that there was nothing left at Burghead; that it was all trashed in the 19th century but nobody’s really looked at the interior to see if there’s anything that survives inside the fort. 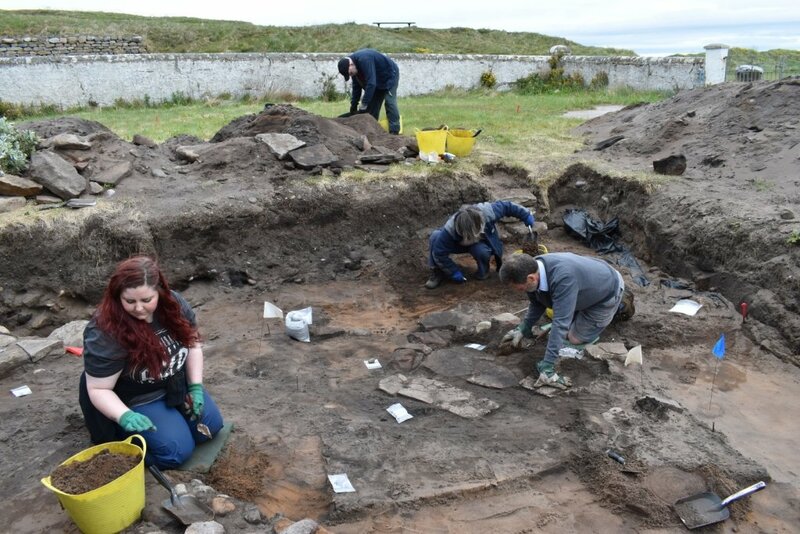 The dig has been carried out in conjunction with the Burghead Headland Trust and with support from Aberdeenshire Council Archaeology Service.